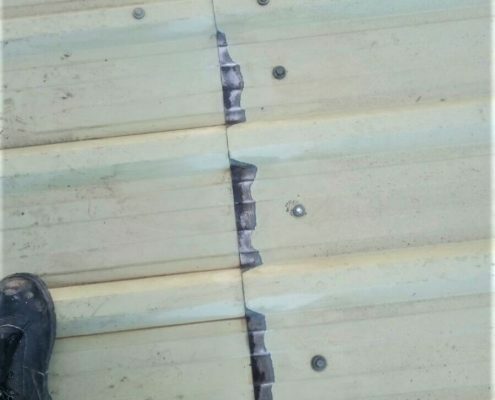 Most metal roofs will fail at some point due to cut edge corrosion. 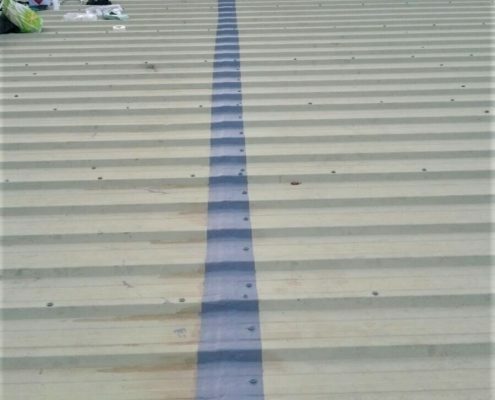 During the manufacturing process the edges of the metal sheets are not treated with the same protective layer of coating as the main body of the sheet. 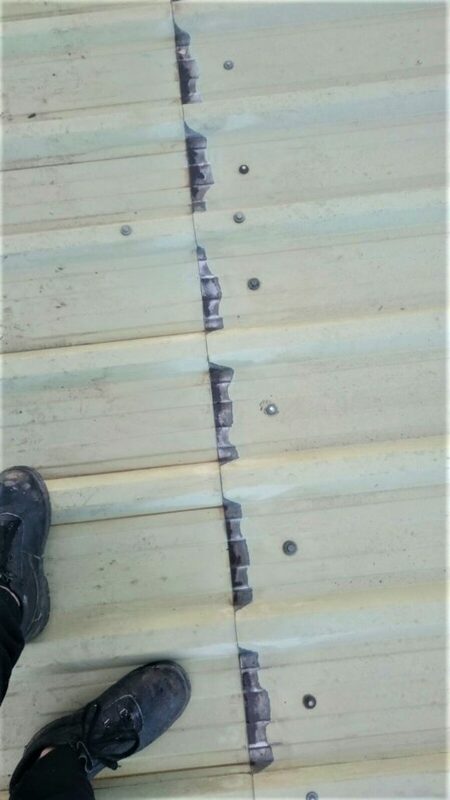 After a while the elements begin to erode the sheets from the cut edge inwards, leading to rust, deterioration, and ultimately leaks. 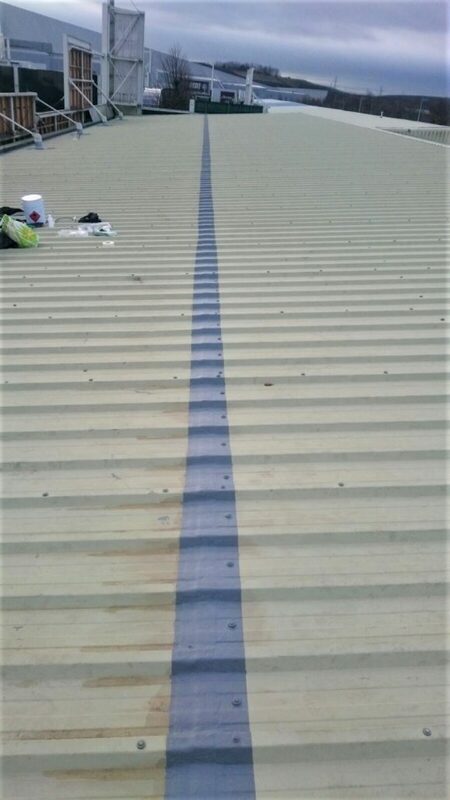 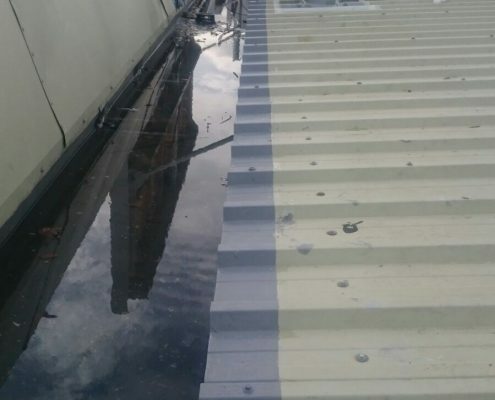 The affected areas need to be thoroughly cleaned and prepared for the chosen liquid treatment, After thorough preparation the edges are masked off and primed, and finally the seamless waterproof coat is applied,prevnting further decay and leaving your roof waterproof and dependable. 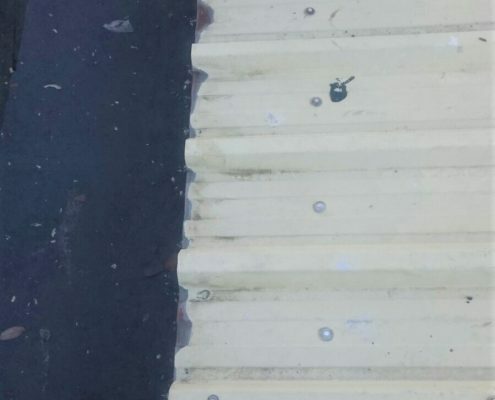 Rust streaks appearing on fascias, walls, gutters and roof sheets. 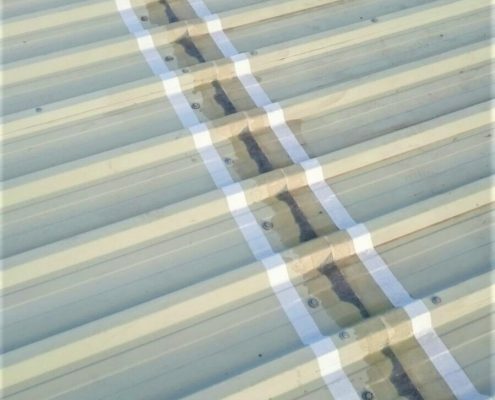 Pitting and pinholes appearing on the sheets close to the overlaps. 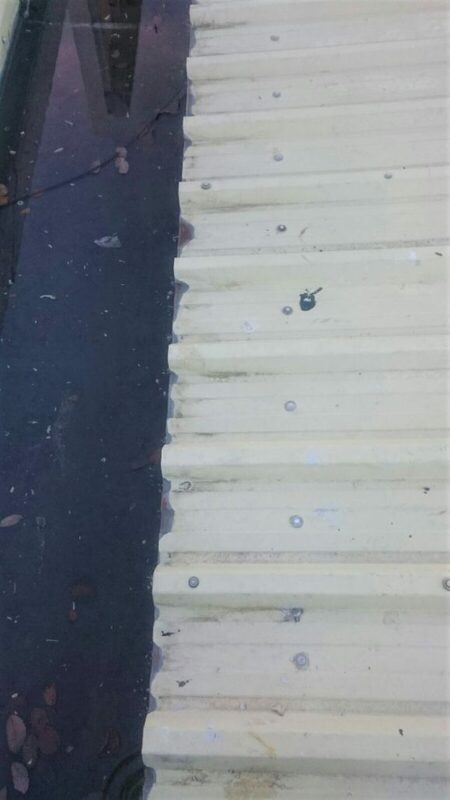 Flaking and or bubbling of the sheet coating at the seams and gutter edge. 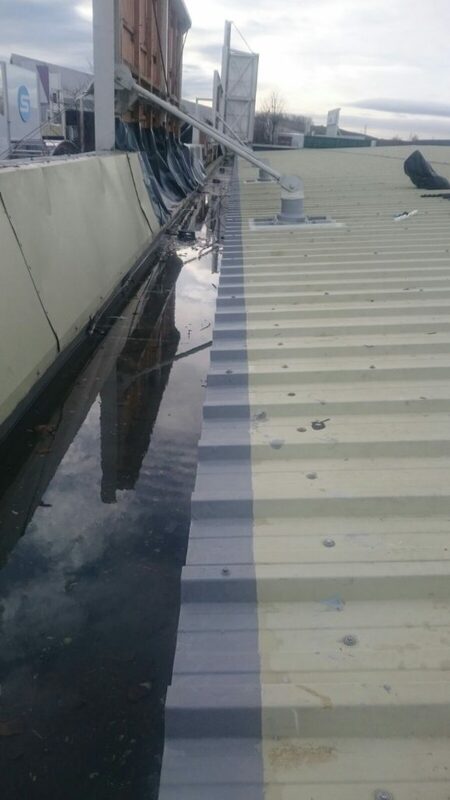 Water ingress to the building. 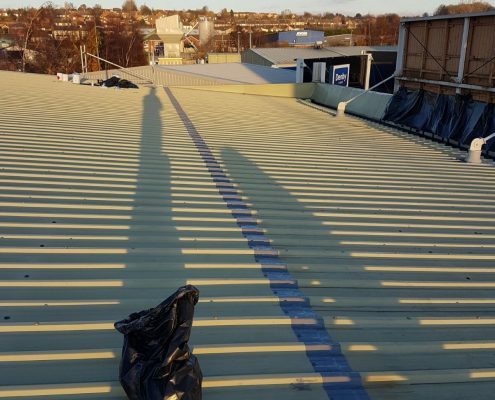 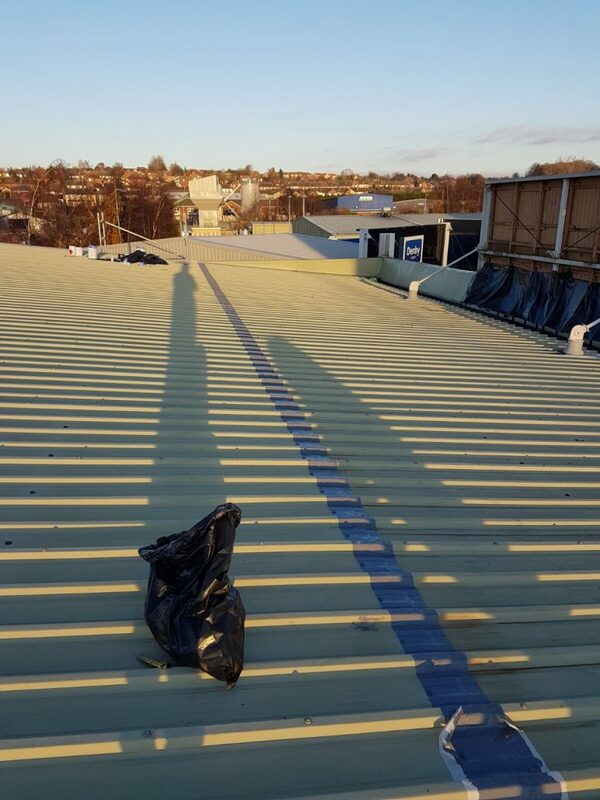 Our expert team have a wealth of experience repairing and refurbishing metal roofs using guaranteed products from industry leaders, ensuring as little disruption as possible to your business, as well as providing a cost effective and long term solution. 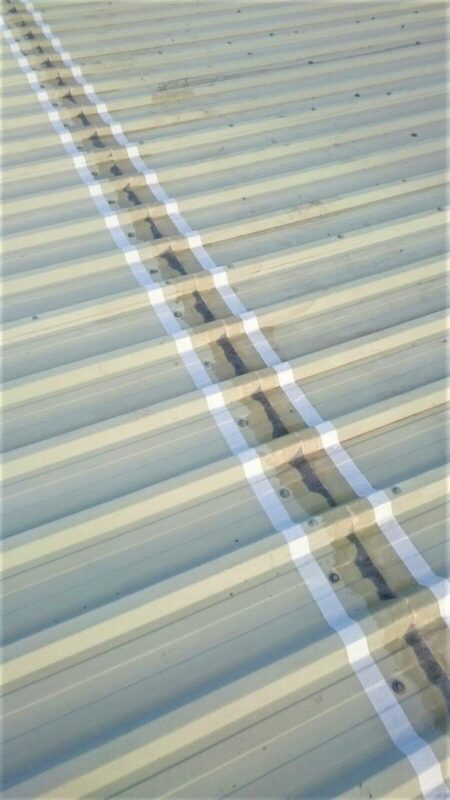 It pays to get a quote from Elite Waterproofing.